The PTA is excited to have the opportunity to present some great programs for our 4th grade classes at Park Western. Below are some of the events that our fourth grade students can participate in this year. If you are interested in donating to any of these events or volunteering please contact us! 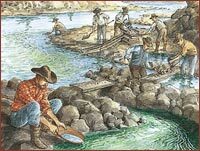 This presentation is designed to allow fourth grade students to actively participate in a lively retelling of California’s rich history. Through the use of games, music, and storytelling, history will come alive! The program focuses on major events that shaped our great state of California. Drama, dance, games, and music support students’ listening skills, vocabulary development, history and geography standards. A large topographical map of California is built for students to experience California’s geography hands-on. Since our fourth graders are studying about the state of California this year the students will be able to visit one of our local Spanish Missions. Mission San Juan Capistrano has been the home to many people over 230 years of history. Its history consists of memories and stories of its past inhabitants and present visitors. It is a place of historical, cultural, and religious significance, as well as a place of inspiration and education. 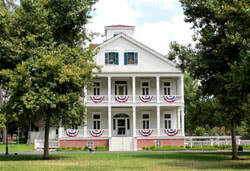 The Banning Museum engages visitors in a living history experience, showing how the family lived, worked, and entertained. Through its educational programs, it gives third, fourth and ﬁfth-graders opportunities to experience life in the 19th century while they learn more about Phineas Banning, father of the Port of Los Angeles. Every Kid in a Park was created so fourth graders and their families could discover our wildlife, resources, and history for free. The pass provides free entry into all national parks and monuments for the student's fourth grade year, Sept. 1st through August 31st. of the following year. Marvel at the St. Louis Arch, the Florida Keys, and the Frederick Douglass house. Listen to wolves howl. Walk in dinosaur tracks. Look up into the inky night sky, and reach for the stars! All fourth grade students have access to a free one-year pass to all of our national parks and monuments. These passes are good for free entry into the park for everyone in the vehicle traveling with the student .